The Empresarios are ready to bring tropicaliente beats to the world minisiston – rezept & pille zur verhütung online | ohnerezeptfreikauf again this winter, after spending much of 2014 in the studio. The Vibes continues to bring the warm Latin sounds that fans have come to expect from Empresarios but with new surprises. 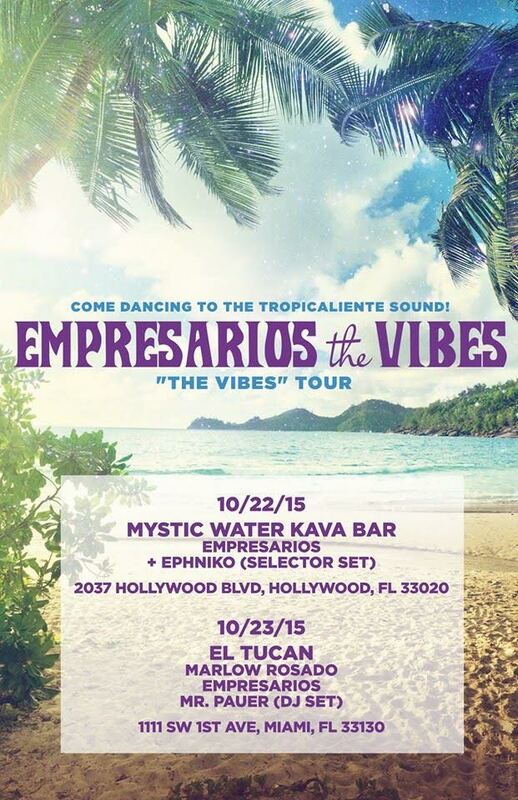 The Vibes includes collaborations from Miami based Colombian rapper Ephniko and DC-based salseros Orquesta Salsaley. After the success of their previous album El Sonido Magico, it held the #1 spot on the CMJ World chart for 5 weeks with notable airplay on NPR, KEXP and KCRW, Empresarios brings The Vibes. It is a cohesive collection of tracks that incorporate the band’s varied influences, including salsa, house, reggae, dub and hip-hop. The Empresarios have retooled their approach and their signature tropicaliente sound has truly come of age in The Vibes.